There is a tax deduction for your contributions into a traditional IRA but not into a variable annuity. 1. Tax Implications for When IRA Is Converted to an Annuity? 3. What Is a Contributory IRA? Traditional individual retirement accounts and variable annuities are two types of retirement plans that can be invested in the stock market. Both types of accounts offer tax advantages that often lead to a higher after-tax return than an investment in a regular brokerage account. These accounts have several key differences that you need to consider to find the best plan for your money. Your contributions into a traditional IRA are fully deductible from your taxes. By investing in this account, not only are you putting money aside for the future, you are also giving yourself a tax break. Variable annuities need to be funded with after-tax dollars. This means you don't get a tax deduction for putting money into this account. If you are trying to keep your current taxes low, the traditional IRA has a clear advantage over the variable annuity. One disadvantage of the traditional IRA is that it restricts how much you can invest per year. As of 2013, you can only invest up to $5,500 a year into an IRA, $6,500 if you are 50 or older. There are no contribution restrictions on the variable annuity. You can invest as much as you want per year into an annuity which is convenient for when you want to make a big investment. Both the traditional IRA and the variable annuity offer tax-deferred growth on your investment gains. As long as you keep your stock earnings in either account, you don't need to report the income to the IRS until you make withdrawals at retirement. This gives both plans a significant advantage over a regular brokerage account. In a regular brokerage account, you need to report your investment gains as taxable income each year, even if you reinvest the money back into the stock market. Since both the traditional IRA and variable annuity are designed as retirement plans, you are supposed to keep your money in both accounts until you are at least 59 1/2. When you make a retirement withdrawal from the traditional IRA, you owe income tax on the entire withdrawal. This is because all the money in the IRA is pretax money. When you take a withdrawal from the variable annuity, you get your contributions back tax-free. This can make the variable annuity a better deal for taxes in retirement. If you need to take money out of either account before you turn 59 1/2, it's considered an early withdrawal. 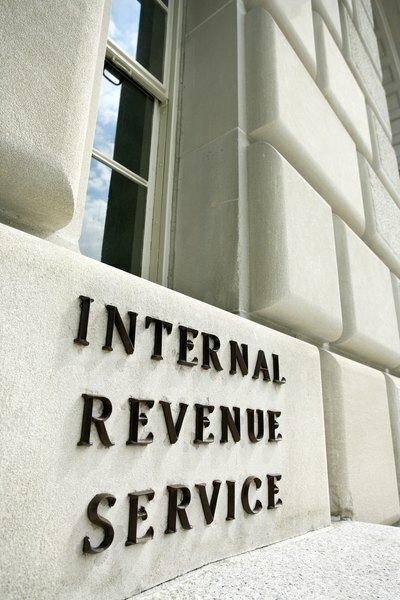 The IRS charges income tax plus a 10 percent penalty on early withdrawals from both accounts. There are a few situations that avoid the 10 percent penalty like withdrawals for a disability, unpaid medical expenses, and a divorce settlement. Early withdrawals from a variable annuity can be even more costly. Annuity companies typically charge a surrender penalty if you take money out during the first five to seven years of your contract. Any time you want, you can convert a variable annuity into guaranteed monthly income for the future. To do this, you give the annuity company your account balance. In exchange you receive monthly payments for a period of time that you choose. You can receive payments for a fixed number of years or receive payments for the rest of your life. This payout option gives you an easy way to budget your savings. The IRA doesn't offer this option. With the IRA, you need to budget your money yourself in order to not run out.